In its 2018 annual Top 10 Patient Safety Concerns for Healthcare Organizations report, ECRI Institute included "incorporating health IT into patient safety programs" as the fifth top concern. We spoke with ECRI Institute Program Director Lorraine Possanza, DPM, JD, MBE, and ECRI Institute Risk Management Analyst Josi Wergin, CPHRM, CPASRM, ELS, about the inclusion of health IT on the list and what organizations can do to help keep health IT from compromising safety. Q: What role can health IT play in helping improve patient safety? Lorraine Possanza (LP): The full potential for health IT to improve patient safety has yet to be realized. While increased legibility, electronic prescribing, clinical decision support, and the ability to view images on demand has improved care and safety, providers must remain vigilant so that the right care is provided to the right individual at the right time. Moving forward, standardization of certain elements, innovations, and the use of existing tools more broadly will continue to improve care and the safety of that care. Q: What should healthcare leaders take away from the inclusion of "incorporating health IT into patient safety programs" on this year's list? 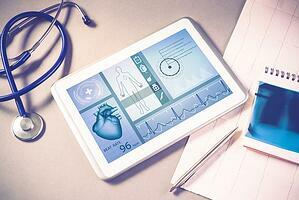 LP: Recognizing that health IT can play a role in safety events is imperative. Health IT is a tool. Like any other tool, it must be maintained, used correctly, and monitored regularly, and all stakeholders must be participants in ensuring its safety. Moreover, creating a climate where those using the technologies can openly discuss issues before they lead to safety events is essential. Q: What earned its place on the list? Josi Wergin: We use several sources of data to identify our top 10 patient safety concerns, and health IT patient safety was a theme across multiple sources. In the last year, the clinical and industry literature often addressed issues of health IT patient safety. The literature addressed both how to ensure safe use, such as by mitigating the risks of copy and paste, and how to use health IT to improve safety, such as by using clinical decision support effectively. Q: What are some red flags leaders can watch for that might indicate potential health IT issues affecting patient safety? LP: When reviewing patient safety events, the most common thread is an awareness by a provider that something is "off." Hazards are averted when providers, for example, question that a drug dose does not seem appropriate. Such hazards or safety events may have resulted from an error such as using a dropdown list where information is truncated, entering information in the incorrect record, or copying and pasting information without verification as a means of documentation. Still other hazards exist when information does not flow appropriately or if, for example, it is unclear that certain results are still pending. Also, it is important that users are informed of changes to the system — for example, when upgrades occur or other changes are put in place. Why is this important? An upgrade or new system might change a workaround that may have been used and working prior to the upgrade that will no longer work correctly after that upgrade has occurred. Q: What can leaders proactively do to help ensure health IT challenges do not impact patient safety in their organizations? LP: The most important thing that can be done is to create an open dialogue. This dialogue can be with the developers themselves and with those within an organization. However, it is also important to report issues to patient safety organizations (PSOs) so that the anonymized information can be broadly shared changes can occur in the form of innovations, safety education, and shared learnings. To that end, the Partnership for Health IT Patient Safety, a multi-stakeholder collaborative, has been gathering such information through the ECRI Institute PSO. As the Partnership for Health IT Patient Safety transforms into a national collaborative, there will be an increased opportunity to gather information about hazards so that identified issues can be prioritized at the national level.